While our reality is that there are both individual- and clinician-focused PHRs, in any PHR where there is co-located content (i.e. of both individual- and healthcare provider-origins) there needs to be a final, single arbiter of content, quality and control. While the ideal is that this should be as shared and collaborative as possible, my personal feeling is that in the long term, successful PHRs will be those with the individual at the helm, with the clinician/s participating as a key partner. 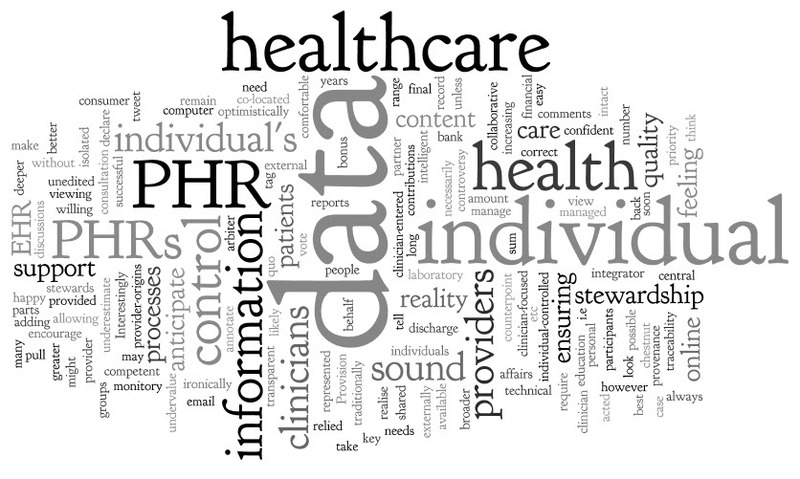 In addition, a PHR controlled by an individual is more likely to succeed and be used by healthcare providers if there are sound data management processes underlying the PHR to support sound data stewardship for all participants. We can’t underestimate the importance of ensuring that provenance of data is transparent, and that contributions to the PHR from external sources such as laboratory reports or discharge summaries remain intact and unedited etc. This is not a technical problem, but requires intelligent PHR design. Both individuals and healthcare providers need to be comfortable with how the individual’s data is managed and represented, ensuring protection of the integrity and traceability of externally sourced data, and allowing the individual to annotate or tag data with their own comments or concerns. Provision of healthcare has traditionally been quite a paternalistic process. We clinicians have acted as stewards on behalf of our patients. Interestingly in my discussions with consumers even in recent years, many are happy for this status quo to continue, not feeling confident or competent to control or manage their health information. Yet ironically these are the same people who operate their own financial affairs, bank online, shop online, email, tweet and blog. Transitioning the control of health information back to the individual may not be as easy as we anticipate. Most groups anticipate that the consumer will be willing to take over as soon as we make their health information available to them. I think that the reality might be more challenging and not without controversy. It will require education processes to support the transition for both the individual and the healthcare provider. We can pull out that old chestnut and as clinicians declare that data in a health record can’t be relied upon unless it has been entered by a clinician, however once you look at any amount of EHR data you will realise that clinician-entered data is not necessarily synonymous with quality. In counterpoint there are an increasing number of clinicians who can tell stories where their patients were able to correct their data when viewing a share computer monitory in a consultation. I will vote optimistically and promote the case for individual’s to control their PHRs. Individuals are best positioned to act as the central integrator for the broadest range of healthcare providers who participate in their care, and I view the adding their own data as a bonus. The broader, the deeper, the richer an individual’s health information is, potentially the better the care that can be provided for them. The sum is greater than the (isolated EHR) parts, let’s not undervalue that – encourage individual-controlled PHRs, but always with sound data stewardship as the highest priority.